A clear message that livestock production in Scotland deserves recognition for its valuable sustainability role, has come from Jim McLaren, Chairman of Quality Meat Scotland (QMS). During a presentation at the Royal Highland Show last month, Mr McLaren warned that in the drive to lower emissions it was vital to avoid any quick win measures which would simply result in reduced output. ‘The red meat industry, and ruminant production systems in particular, are regularly in the firing line when climate change is discussed,’ observed Mr McLaren. 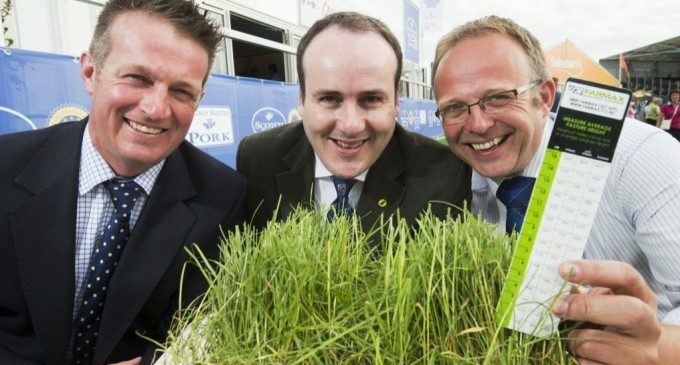 ‘The reality is that Scotland is uniquely placed to capitalise on its ability to convert human inedible forage protein into human edible red meat protein through the medium of the rumen. “The overall objective of the Grazing Groups is to increase the kilos of meat produced per hectare through better utilisation of grass,’ he said. ‘The plan is to calculate each farm’s benchmark of liveweight produced per hectare, and then analyse where we can make improvements without increasing costs or labour input.